The internet became truly multilingual yesterday, as the Internet Corporation for Assigned Names and Numbers (ICANN), announced the release of four new generic top-level domains (gTLDs). gTLDs are internet domain names with language-specific scripts and the four new suffixes represent some of the world’s most widely spoken languages. Their selection for release by the ICANN was a strategic decision. The president of ICANN’s Generic Domains Division, Akram Atallah indicated this was just the start of a, “global society” coming together. The purpose of The New Generic Top Level Domain Program is to create a, “globally-inclusive Internet”, improving ecommerce and internet globalisation. Ripples will be felt in the localization industry with increased demand for real-time translation of user generated content (UGC). Translation technologies are constantly being developed, adopted to markets and fine-tuned. A leading example of this in the development of Machine Translation and these improvements are best seen in the quality assessment (QA) of Machine Translation. Machine Translation quality has been subjected to scrutiny for decades. This is also changing. 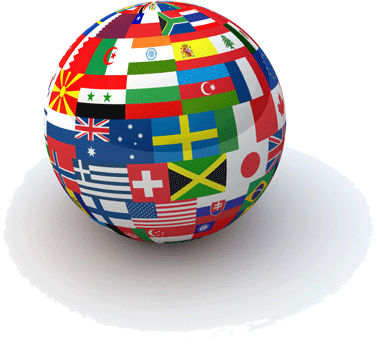 Commercial use of Machine Translation is growing, especially in certain industries. Computational capabilities and the availability of vast amounts of multi and monolingual training data have played a significant role in the adoption rate of Machine Translation in both the public and private sectors. Next week, KantanMT, will release a technology, which addresses the challenge of Machine Translation quality estimation (QE). KantanAnalytics is a revolutionary product that carries out quality analysis at segment level. Increased demand for real-time high quality translated content will be seen in the near future as internationalised domain names (IDNs) bring people and communities together. This is one of the first steps in increasing the current number of 22 English language dominated domain names to a further 1,400 new multilingual names. IDNs are domain names registered in non-Latin scripts or ASCII characters, like Chinese. IDNs are already available as second-level domains and country code top-level domains (ccTLDs) tied to specific countries. For example, In Ireland a ccTLD will end in “.ie”. These are different from gTLDs, which belong to a core group of restricted domain names such as .com, .net and .org. As the American market for translation slows down, the market in Asia continues to grow. According to the Common Sense Advisory Board, Asia makes up 12.88% of the global market share for translation services and provides a multitude of opportunities for growth. As Asia’s biggest economy, China has an important role to play in this. Although there is widespread talk of decline within the Chinese economy, it is still by far the fastest growing nation of the last decade. Despite its ageing population of 1.3 billion, China is set to create an increasing amount of translation business in the coming years. The Chinese government is now focusing on creating more exporting opportunities for indigenous businesses that are answering to growing demands from the US and Europe. 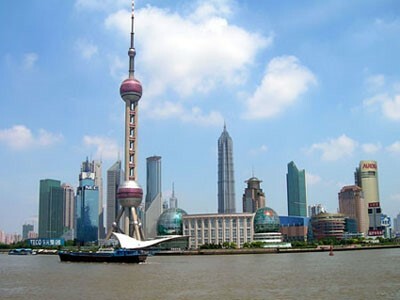 Chinese exports grew by 14.1% in December 2012 compared to one year earlier. In February 2013 ‘Bloomberg’ discussed how China has now surpassed the US as the world’s biggest trading nation. Answering to the demand for Chinese Machine Translations, KantanMT has recently introduced Chinese language capabilities on the cloud-based platform. Members can manage Chinese Machine Translation engines using the same process as all other languages on KantanMT.com. Simply upload Chinese training data, build a KantanMT engine, and then translate client files. KantanMT encourages members to use KantanWatch™ to track the quality improvements of their engines over time, helping them to significantly improve engine performance.